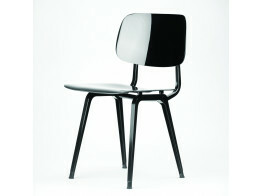 Aprés Furniture has a huge range of Café Chairs for you to choose from. 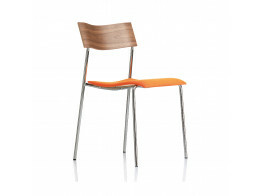 We provide canteen chairs, bistro chairs, dining chairs, wooden café chairs, and metal café chairs, as well as weather resistant outdoor café chairs. Whatever your requirements for your bistro and café area, we will exceed them. Offering both the latest in seating technology, as well as designer classics like Vegetal Cafe Chairs and Panton Cafe Chairs, Aprés can offer the widest selection of breakout seating for businesses across the UK and globally. Offering sustainable and recyclable designs, as well as weather and scratch resistant materials, our café chairs are a versatile breakout seating solution for office or residential use. Many of our UV resistant outdoor café chairs are stackable,and we provide outdoor lightweight folding café chairs and seating specifically designed for environments such as hospitals, like Twin Café Chairs, with their hygienic properties. With Café Chairs made from cork, durable plywood, metal, and polypropylene, we supply the widest range of canteen and bistro seating in the market. Our upholstered café chairs offer supreme comfort, whilst award winning outdoor café chairs like Sting Armchair are 100% recyclable and accredited with the Nordic Swan Ecolabel. Café Chairs and versatile breakout seating solutions to complement, enhance and revitalise any interior from Aprés Furniture. 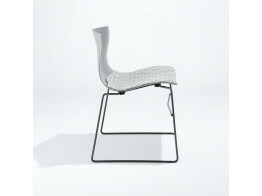 .03 Chairs have a soft seat and backrest shell made of integral foam, with integrated leaf springs. 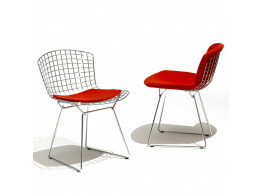 Bertoia Side Chairs with seat pad are a designer seat for cafes, breakout areas and outdoors. 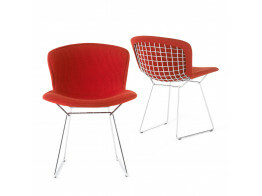 These Bertoia Side Chairs are fully upholstered, with the covers stretched over the wire seat basket. 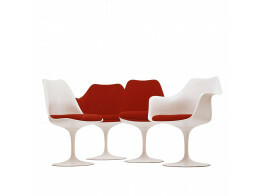 Tulip Chairs by designer Eero Saarinen are swivel based and complemented by an optional footstool. 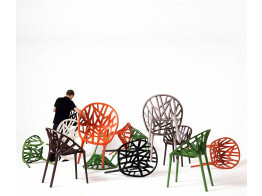 Handkerchief Stacking Chair is high density with tablet, ganging mechanism and dolly. 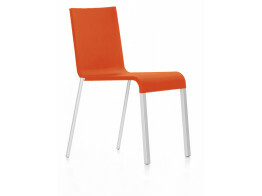 Aline Skid Base Chairs with or without arms for conference, seminar and dining rooms. 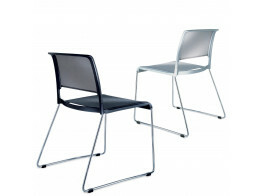 Campus Chairs are stackable and linkable chairs for training areas, lectures and canteens.